Sitting high above the buzzing city with a glass of refreshing beverage and watching the sunset seems like a perfect ending of a long, busy day. While the traffic on the streets below is becoming crazy as everyone is trying to get home in time for dinner, you are enjoying the peacefulness of the rooftop bar that makes you feel at least a galaxy away from the busy city below you. 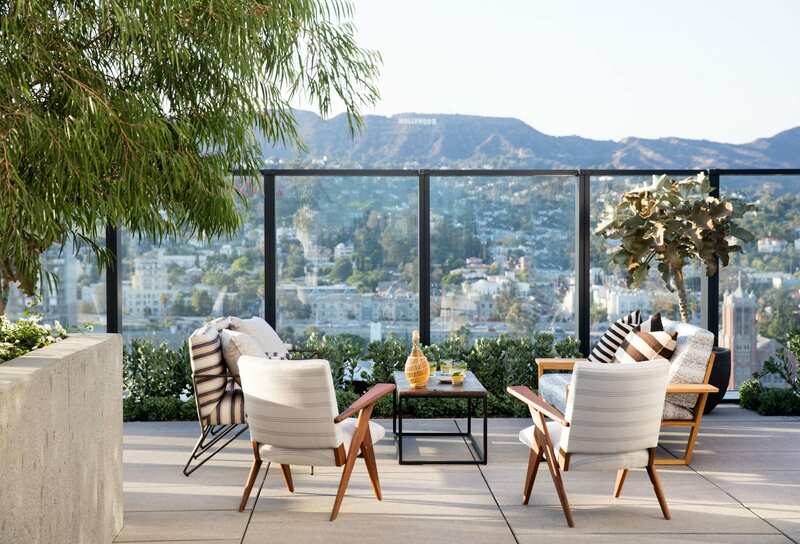 You may not have an access to a perfectly located private rooftop terrace high above the ground. 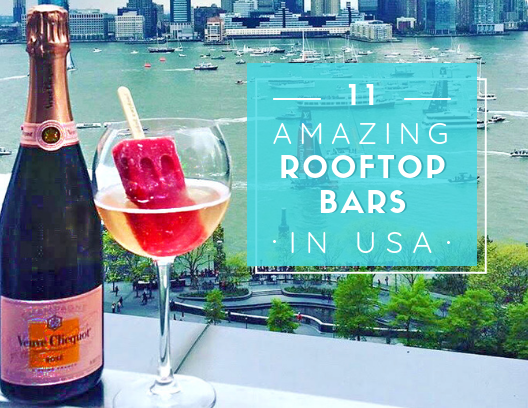 However, there are many amazing rooftop bars scattered all over the United States, so start making your rooftop bar bucket list! No one should miss the opportunity to enjoy the tranquility of a rooftop lounge high above the town. If you are looking for a faultlessly located rooftop bar with a covered patio, Filifera in LA is an excellent choice. This lounge is a perfect spot for a business meeting, a relaxing drink after work or a light dinner with your partner. You can choose from the bar’s airy indoor lounge or covered patio sheltered by rich vegetation that makes the place feel extremely welcoming and cozy. There is enough room for small groups of people to snuggle down and enjoy the refreshing cocktails and other beverages. Of course, if you get hungry, try one of the best Monte Cristo sandwiches in LA – they serve it with an egg on the top and it is absolutely yummy. 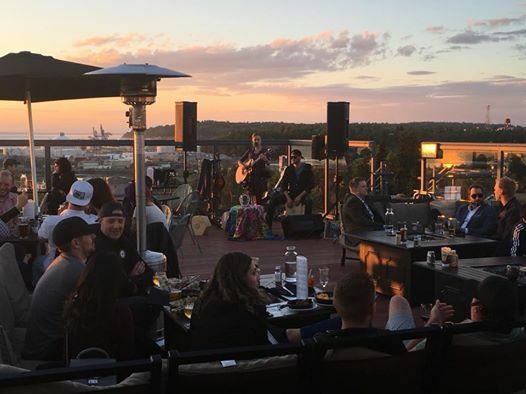 The roomy rooftop patio of 49th State Brewing in Anchorage, Alaska is a perfect destination if you have always dreamed of sitting under the sun of a rooftop bar in midnight. Yes, midnight. During summer in Alaska, you can admire the Alaska Range in the distance while sipping on your favorite drink any time of the day or night. On particularly clear days, you’ll be able to see Denali, the highest mountain in North America. In most midtown-Manhattan rooftop lounges you can expect long line-ups and dress codes. Not at Top of the Strand, though. This bar is not as famous as some other nearby rooftop lounges but is definitely far better than many. The bar provides easy access and no line-ups. With the Top of the Strand, it’s all about the space and the view. From here, you will enjoy the most stunning view of the Empire State Building in the whole New York City. Admiring the city’s utmost skyscraper from the 19th floor while enjoying a glass of chilled beer or wine – say, it's simply a breathtaking experience. Delaware is famous for its spectacular beaches, full of pleasures and urbane fun. 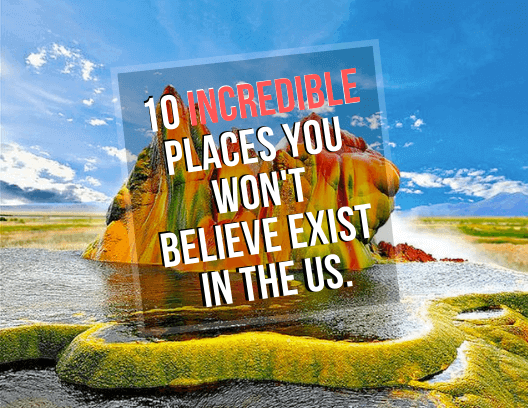 Therefore, it is completely expected to find some stunning rooftop patios in the Delaware Seashore State Park. From Big Chill Beach Club, for example, you can watch the sunset behind the Indian River Inlet Bridge and the ocean. The view is equally stunning at both daytime and night. At the Big Chill Beach Club, you can suntan while drinking some of your favorite beverages or party while the bay’s lights are twinkling beneath. 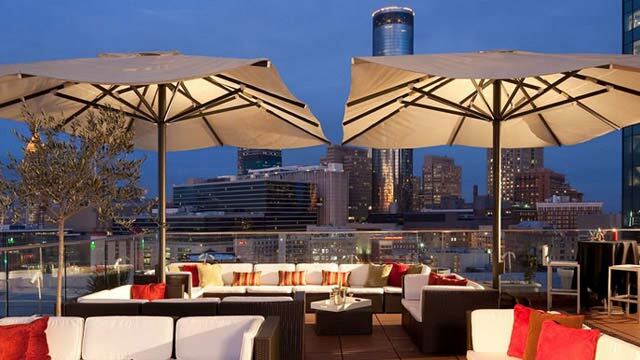 Located at the 11th floor of the Glenn Hotel in Georgia, Skylounge bar offers a spectacular view of the city skyline. The bar is situated in a historic landmark building that dates back to 1923. Nevertheless, the rooftop lounge is a pretty much contemporary place. Try some of the bar’s signature cocktails such as Glenntini, made with mint, cucumber, and green-tea vodka while listening to live background music and enjoying the view of the Ferris wheel in Centennial Park. Located at the rooftop of the Mckittrick Hotel, Gallow Green will welcome you with a theatrical flair – the bar is designed as a secret garden. You will get to ride up on a secret elevator that will remind you of an amusement park roller coaster. There is often a long line-up here, but once you get to the top, you’ll realize it’s well worth the wait. During the spring and summer months, curving paths around the patio are overflown with lush vegetation – a genuine oasis in the middle of downtown Manhattan. Nestled 40 stories above Miami, Sugar overlooks the Biscayne Bay, providing a stunning view. Here you can enjoy your cocktail or the local beer with scallop dumplings. The rooftop lounge is filled with plants, giving a vibe of a tranquil lush Asian garden. POV Rooftop and Lounge is situated on the rooftop of W Hotel in downtown Washington DC, providing the perfect view of the White House. 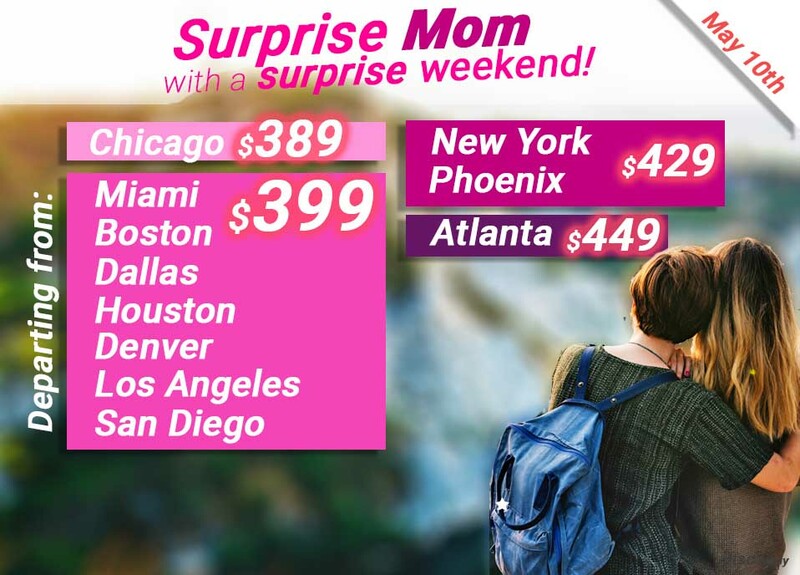 In addition, you can enjoy the bird eye sights of the Capital Building and the Lincoln Memorial while the sun sets down behind the country’s most noteworthy buildings. Enjoy your cocktail at the stylishly decorated POV Rooftop and Lounge while you learn about the country’s history from a totally different point of view. 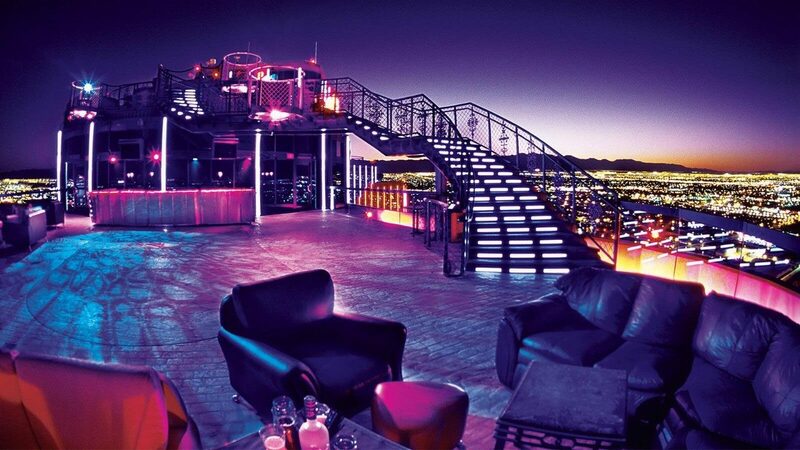 This unique rooftop lounge in Las Vegas is towering 51 floors above the always bustling city and offers an amazing view of Las Vegas impressive light show. In addition, you can indulge in your steak while admiring the view. 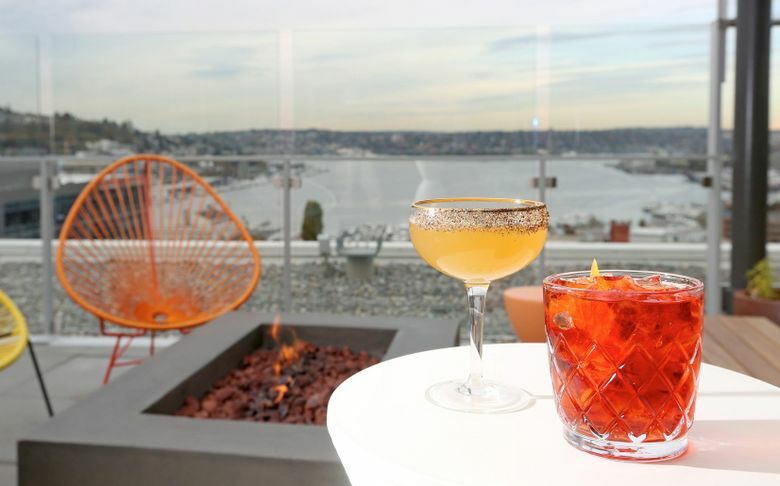 A drink with a view – this is how you can call this rooftop bar in Seattle. After a quick stop in the ground floor bar, the elevator will take you to the rooftop with one of the best views in Seattle. Moreover, the astonishing view is accompanied by a delightful menu by chef Jason Stratton. 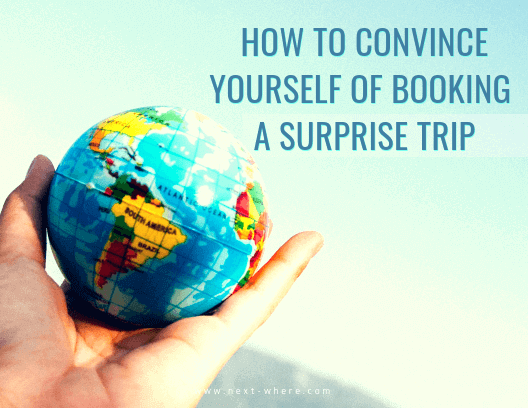 Whether you come for a lunch with your business partners or a romantic dinner, you’ll definitely enjoy a once-in-a-lifetime experience here at the MBAR in Seattle, Washington. Offering amazing sight of the Hudson River and Manhattan’s majestic skyline this elegant and creative bar sits atop the 16th floor of the Conrad Hotel and is open seasonally from April until November. 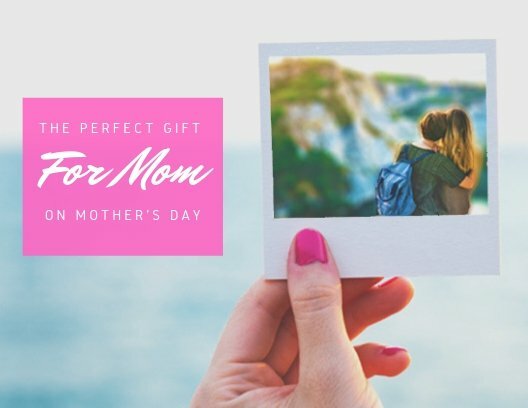 Featuring innovative drink creations, such a Prosecco & Ice pop, an Instagram favorite, and “Becky the Flamingo” cocktail made with Absolut Elyx, prickly pear and lemon. Certainly a must-try if you are around the city that never sleeps in summer months.